Dallas, Texas : July 31, 2007. 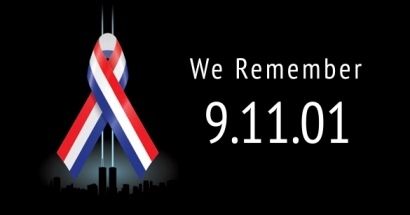 The Foundation for Pluralism and the World Muslim Congress have announced the 3rd annual 911 Memorial event to be held on Sunday, September 9, 2007 at Crowne Plaza Hotel at 14315 Midway Road in Addison, a suburb of Dallas, Texas. Mike Ghouse, President of the organizations announced. “This event is under planning stages in 10 Cities around the nation”. On this Unity Day USA, we, the people of the United States of America; of every faith, race, ethnicity, culture and background, gather to pray for peace, unity and security of our nation and the world. Our 2007 theme is One Nation under God. Our religious prayer leaders will seek guidance and wisdom from their respective faiths. Our Civil servants and community leaders will echo the same sentiment and suggest ways in which we as individuals can work toward cohesive and thriving local communities. Unity Day USA is to be held on Sunday before September 11 of each year, as was suggested by Congressman Pete Sessions, Kenny Marchant and Ralph Hall in a luncheon meeting in Dallas. Congressman Sessions’ office is planning to get Unity Day USA proclaimed as National Day along with Congresswoman Nancy Pelosi who has shown the same interest. Key Note Speakers: Daisy Khan, a national interfaith leader confirmed. Key Note speakers: Karen Hughes, undersecretary of State, yet to be confirmed. Dear God, with your blessings, we proceed with the program. Daisy Khan, a national interfaith leader. We are inviting a representative leader for each faith including Atheists, Wicca and the Native American groups. All denominations within each faith will come together and say their prayers. We hope to represent every American in the prayers. We have had support from nearly 90 organizations in the past two years, and we hope to continue to gain their support for the event. All it takes for the name of your organization to be included is, to bring 5 members of your organization to the event. We are seeking sponsors and underwriters for the event. The budget is small, but the purpose is great! Our goal is to have a representation of every race, ethnicity and nationality. No American resident will be left behind. Our volunteers will aspire to reach every one. A variety of comments have been received and placed together, you are welcome to share yours. We are grateful for the support by Dallas Morning News, Plano Star Couriers, Frisco Paper, WBAP 820, KRLD 1080, AM1150, CBS TV 11, NBC TV 5, Telemundo 27 and other News and community outlets. Photographs: Can be viewed as slide show.